How’s your branding game? Are you in the fourth quarter with no clue how to score a touchdown or field goal? Could you use a few tested, concrete tips to add some panache to your play book? If you find that you’re able to expertly create PR and marketing strategies, solutions and tactics for others but not for yourself, then perhaps your personal brand needs a good polish. If that’s you, I have an answer for you, and it comes in a beautifully package box from Amanda Miller Littlejohn, personal branding consultant and coach. Amanda Miller Littlejohn, personal branding consultant and coach. 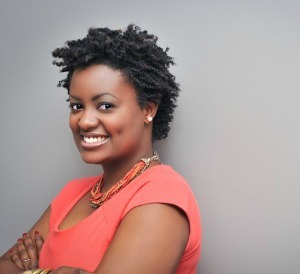 You might recognize her name from Black Enterprise, or her firm, Mopwater Social PR. Either way, Littlejohn has carved out for herself a wonderful niche of the PR landscape: helping folks get their personal brand just right for maximum return. And you’ll want to know about her latest project, The Branding Box. The Branding Box is a “proven personal branding system in a box.” Sounds great, right? Littlejohn says in working with entrepreneurs and listening to their challenges and stories, she found herself “saying the same things over and over again.” So she set about to create a practical formula that an individual can use to showcase her/his brand and expertise. And voila, her genius gave birth to The Branding Box. Understand what you’re passionate about. Be confident about your expertise. Step out of the shadows. Watch the video below to learn more about Amanda Miller Littlejohn’s The Branding Box. And if you or someone you know needs brand makeover, tell to think inside the box! PR pros don’t let PR pros get dusty.